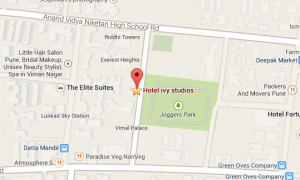 Address: Plot no: 48/49, Sakore Nagar. Near Symbiosis College. Viman Nagar. Pune. Maharashtra- 411 014. Located 1.5 kms from the airport and 8 kms from the railway station, the Ivy Studios boasts of a contemporary and state-of-the-art decor nestled in a perfect aesthetic environment and catering to all the needs of its guests. It is host to a renowned multi-cuisine restaurant, Pebbles and also an array of specialised dining privileges, including mouth watering food at the Sunset Lounge, which is at the rooftop. Ivy Studious is a place to sit back and relax, soak in the warmth and comfort of its Jacuzzi and pool facility named Lagoons or rejuvenate yourself at Stamina. 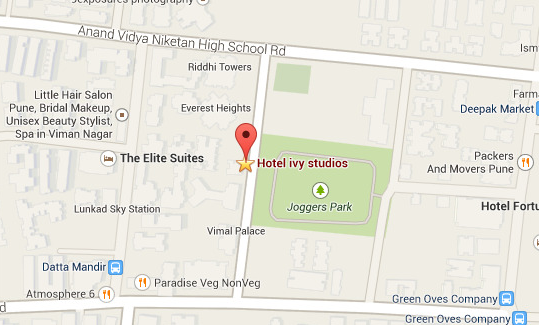 Whatever facility you might be looking for, Ivy Studios ensures its delivery during your stay with them. For business projects, the hotel has three propositions to choose from- Inspire, Insight and Ideas- to carry through a host of events suited to any company’s calendar. 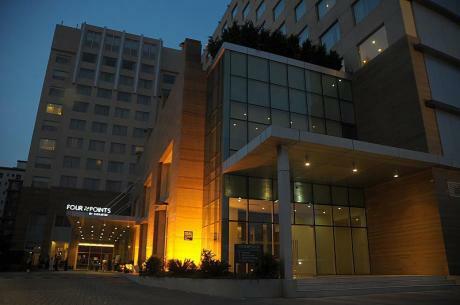 Not only is the hotel fully air-conditioned with an atrium lobby, it also is wifi-enabled, has got a travel Desk, 24 hours room service, complimentary airport transfers and a doctor on call at all times of the day or night. 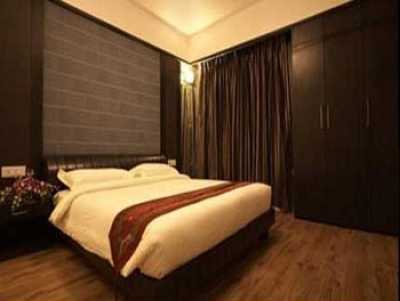 For such wonderful facility and staying experience, the hotel tariffs range from Rs. 6000 to Rs. 10000, depending on which category one chooses in. The 39 well- furnished rooms are categorised under Silver, Gold and Platinum. The rooms are set up to provide for maximum security, from its electronic laptop safe, locks for total security, to a smart card system. Since its the room that one goes to at the end of a tiring day, or wakes up to in the morning, a tea-coffee maker, well equipped bathrooms (including separate bathtubs or bathing areas), shaving mirror, hair dryer and a telephone is included in the room decor. You can book online at its website. It is truly a place to sit back and relax and enjoy your hotel stay to the fullest.